1. Prepare Pomegranate Vinaigrette: In medium bowl, whisk together oil, vinegars, juice, honey and mustard. Stir in shallots and season with salt and pepper. 2. 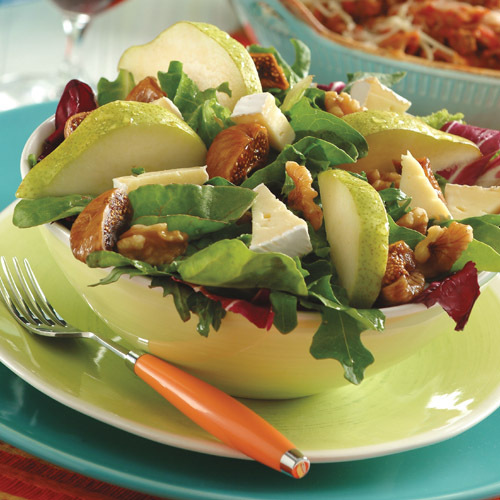 Prepare Autumn Salad: In large bowl, toss greens with 1/2 cup vinaigrette (reserve remaining vinaigrette for another use). 3. Place greens mixture on large serving platter. Arrange remaining ingredients over top of greens.